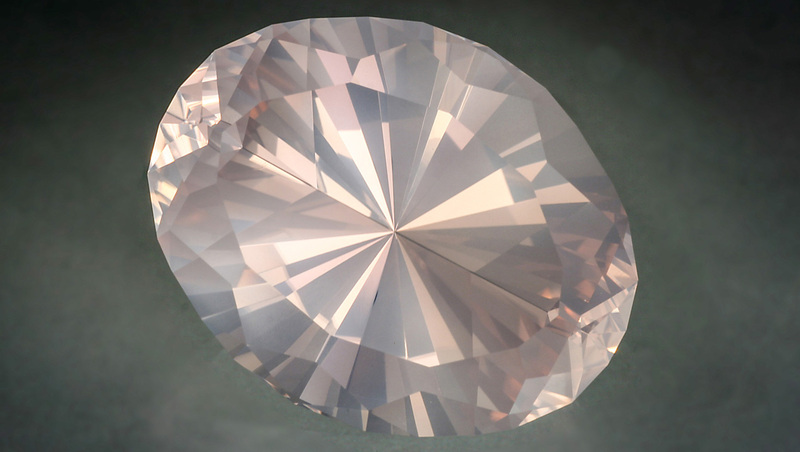 Microscopic mineral inclusions are responsible for the gem's mysterious haziness. 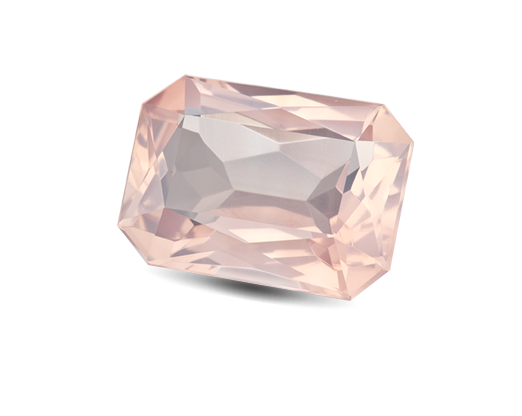 While rose quartz is often cabochon-cut, it’s also popular in faceted styles. The delicate pastel pinks of rose quartz have a romantic appeal. Intergrown crystals caused this rough’s massive, non-crystalline, form. Rose quartz is commonly translucent rather than transparent. This enormous rose quartz rough weighs 206.80 grams (over 1000 carats)! 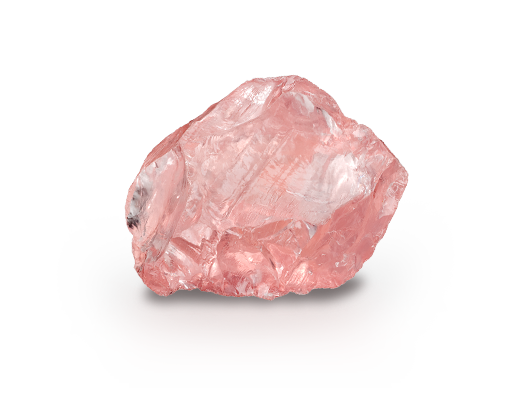 The color of rose quartz ranges from very light pink (almost white) to medium-dark pink. 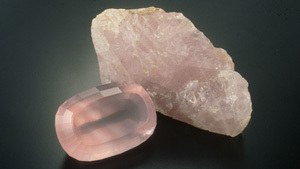 The most appealing color typically occurs in larger sizes; small rose quartz specimens with good color tend to be scarce. Rose quartz is usually found in massive form, so well-shaped crystals are highly prized. Rose quartz has been recognized as the gem that commemorates the fifth wedding anniversary. 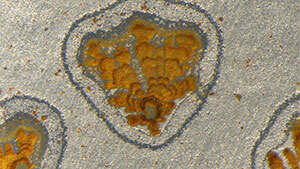 The deepest colors often occur in large sizes; small specimens with good color are rare. Microscopic mineral inclusions give this pastel gem a cloudy translucence. 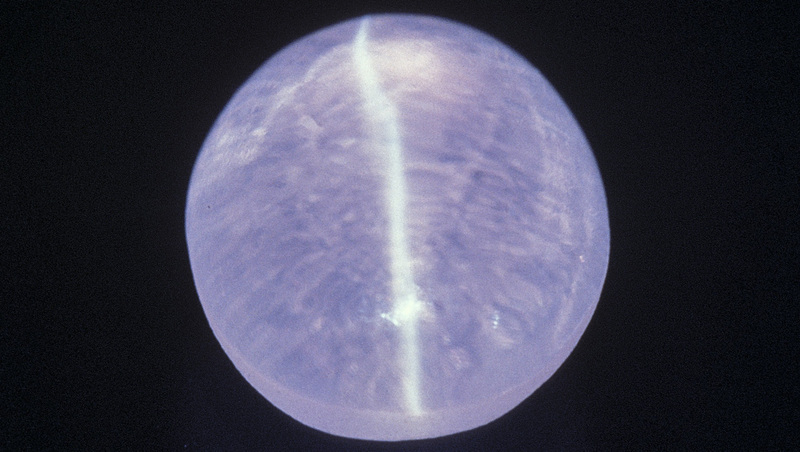 When rose quartz contains small, well oriented inclusions, it can sometimes show asterism. The most appealing color typically occurs in larger sizes. Small specimens generally display lighter shades of pink. 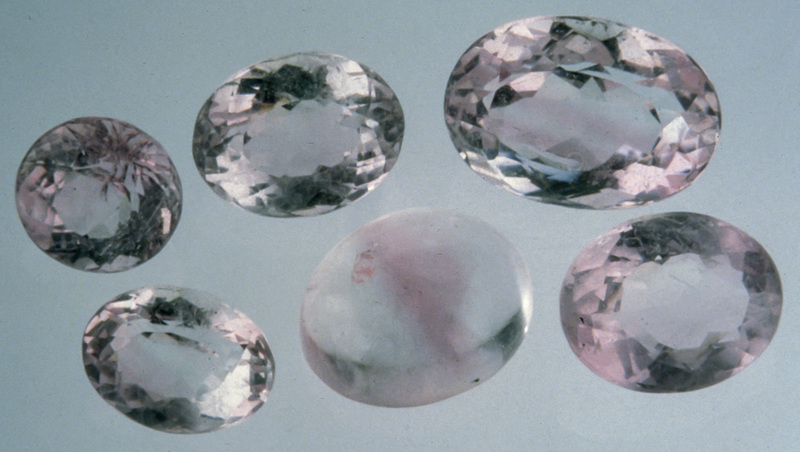 When rose quartz contains numerous small inclusions, it can show a cat’s-eye or the more common star effect. Rose quartz has been popular with gem carvers for producing figurines and other small decorative objects. The following factors combine to determine rose quartz value. Rose quartz comes in a range of delicate shades, from very light to medium-dark pink. Rose quartz owes its cloudy translucence to microscopic mineral inclusions. 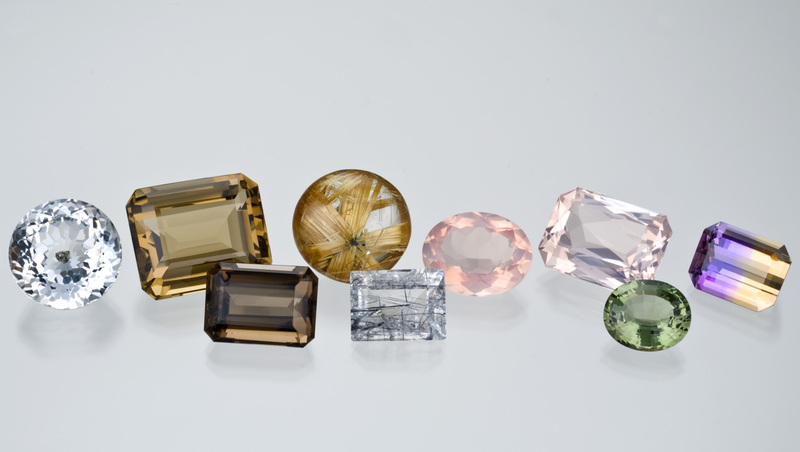 Transparent material is usually faceted; translucent material is cabochon-cut or carved. 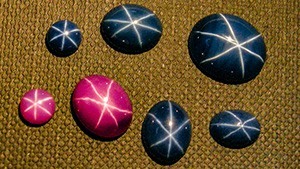 Gem size makes a difference: Large gems generally show the most intense pink shades.